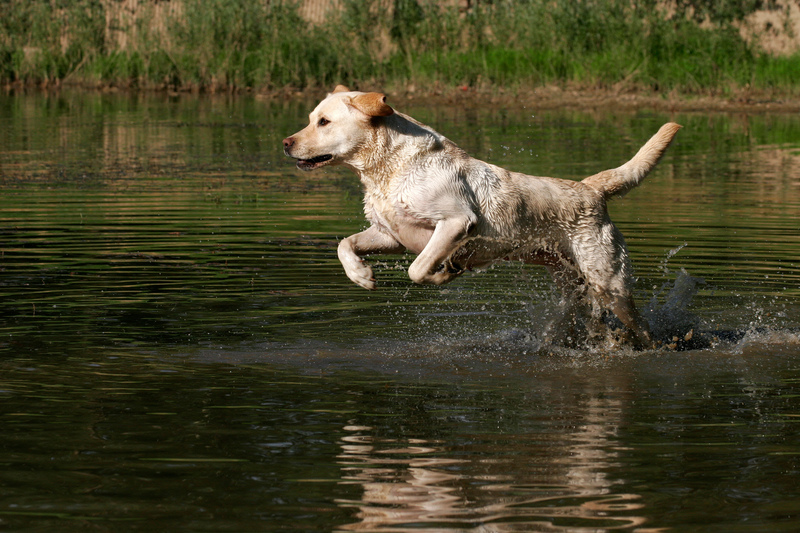 Nutrients to improve mobility or maintain optimal joint health in any dog. Pork Liver Flavoring. Polyphenol antioxidants from plants are especially helpful for joint health. 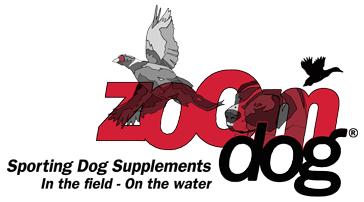 The OPC antioxidant in ZoomDog joint products is a plant extract that has oligomeric proanthocyanidins (OPCs). OPCs are in extracts of curcumin or tumeric, pomegranate, pycnogenol (pine bark), cranberries or grape seeds. Polyphenol antioxidants can fight free radical damage to joint tissue, they support strong connective tissue and help keep collagen fibers healthy. Tissues such as joint cartilage can be weakened by oxidative stress, injury, wear & tear from running, jumping, hiking, and aging. Your pet's body does have antioxidant systems built in, but in times of stress or in older dogs, they may not be enough. Glucosamine is an important ingredient for healthy joints. It is a major component of hyaluronic acid (HA) and is preferentially used in the synthesis of HA. The primary function of HA is attracting and holding moisture in the joint capsule. The re-infusion of water into cartilage in the joint capsule caused by glucosamine and HA will plump it up to restore much of its shock-absorping properties. Glucosamine supports your pet's ability to generate new joint tissue, supporting joint health, strength & mobility. Chondroitin sulfate is another important glycosaminoglycan used for joint health. It can help minimize the impact of enzymes that damage collagen fibers along with the OPC antioxidant. Spirulina is a highly nutritious superfood, 65-71% protein, which contains many essential amino acids, antioxidants and other beneficial trace nutrients. It is appearing in other joint formulas as it's benefits become better known. Omega fatty acids are a popular supplement for skin & coat and joint products. They work to help keep cell membranes healthy in both joint tissue and your pet's skin. MSM is helpful in joint formulas because it supplies sulfur to the body supporting cartilage synthesis. The amount of MSM decreases with age, so older pets will benefit from it as they age. 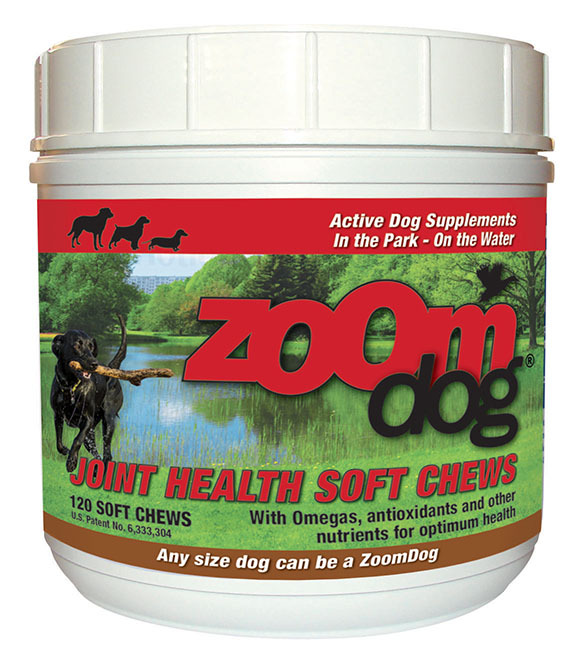 These joint health nutrients make the soft chews a unique, complete product for your dog. The other beneficial ingredients provide nutrients that support optimal health in dogs of every size, breed and age. Compare the recommended amount for initial use to other products! Just 7 days of double usage compared to 4 to 6 weeks for other joint products helps keep it affordable while still providing a positive response in over 90% of the dogs using this formula in just 10 days.